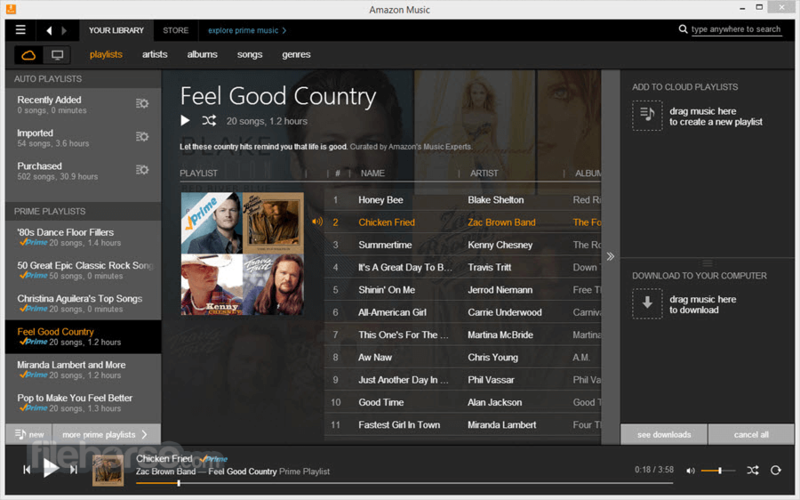 Amazon Music for PC detects and adds new music to your library! 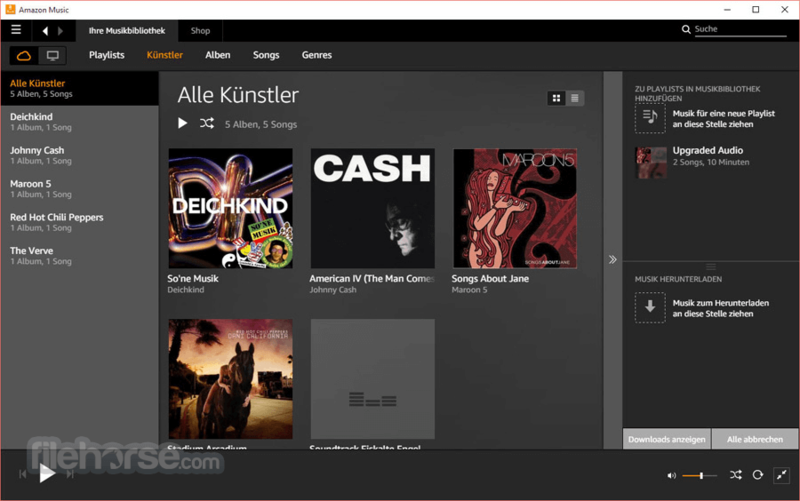 With Amazon Music for Windows PC your music is the star. All your albums, songs and playlists on your computer and in the cloud are at your fingertips. Download your digital music purchases automatically or with one click and enjoy your music even when you're offline. The brand new instant search feature makes finding your music easy and quick. Play albums and songs directly from the search results. Amazon Music for Desktop is Amazing! Prime Music is a music streaming benefit featuring a growing selection of two million songs, Alexa voice-integration, and personalized recommendations at no additional cost with your Amazon Prime Membership. Unlock even more music with Amazon Music Unlimited, plus get an exclusive Prime member discount.